HANNIBAL, Mo. 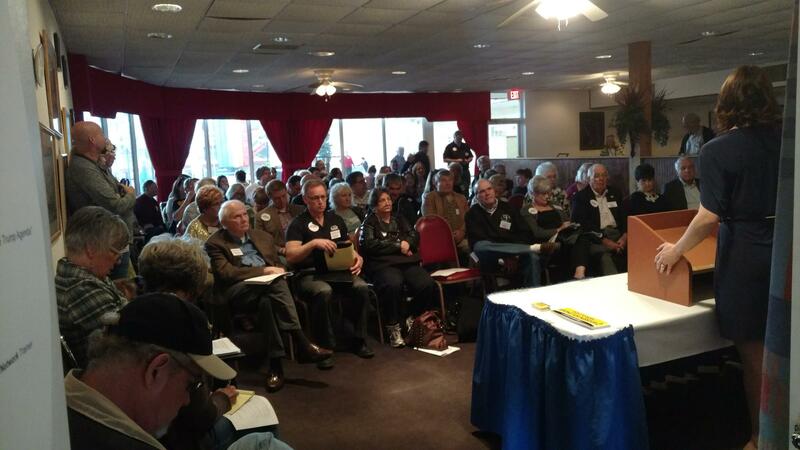 – In a political sense, Missouri Democrats gathered this weekend in enemy territory. The party’s annual Democrat Days, held in Mark Twain’s hometown, now takes place in the midst of Republican turf. About three-quarters of the ballots cast last fall in northeast Missouri went for now-President Donald Trump. In the Hannibal area, as in the rest of rural Missouri, no Democrat running for statewide office attracted more than one-third of the vote. If that trend continues, there’s little debate that Democrats are doomed. “If we don’t win back rural Missouri, we don’t have a chance,’’ said Cydney Mayfield, a young lawyer who heads the Missouri Rural Democratic Caucus. 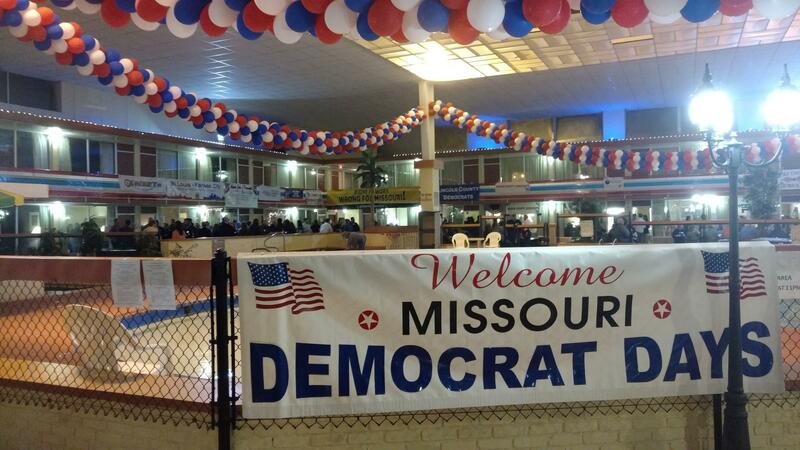 Missouri Democrats gathered this weekend in Hannibal, Mo. Still, there may be hope. Mayfield’s warning, delivered during Saturday’s brunch, helped generate a standing-room audience for the caucus’ afternoon forum. Attendees discussed how best to energize rural supporters, and expand their numbers. But what brought the Saturday crowd to their feet was a barn-burning address by former Lt. Gov. Joe Maxwell, a rural lawyer and farmer, who bluntly told Democrats that it’s their fault they’re in this fix. Maxwell appears to be developing into a go-to-guy in the Democratic ranks, when it comes to rural issues. He's been traveling the country to campaign for other Democrats and rural causes — so much so that a Huffington Post photographer and reporter have been following him around for a feature. Maxwell contended that Democrats allowed Trump to hijack their best issue – economic justice – as a campaign tool, because national Democrats didn’t want to offend their wealthy Wall Street backers by promoting the party’s historic commitment to helping the average worker. Maxwell said economic freedom is the issue that best bridges the rural/urban, black/white divide. "Martin Luther King taught us about it,'' Maxwell said. "As a matter of fact, he indicated in his last speech that you cannot have social justice without economic justice." Former Lt. Gov. 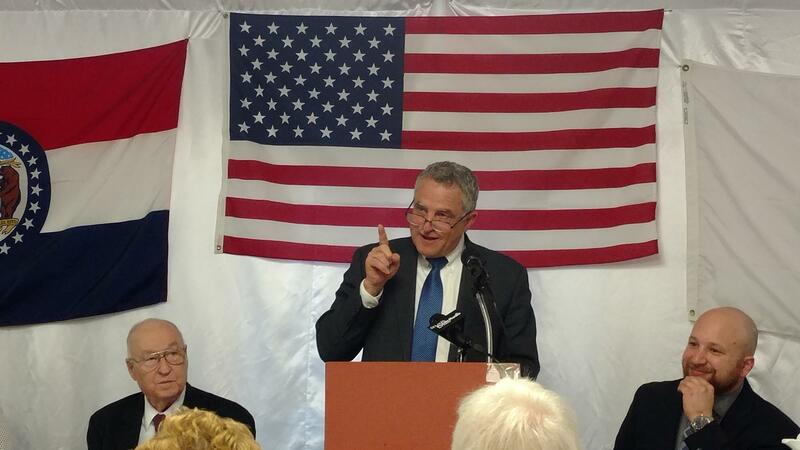 Joe Maxwell ignites crowd at Democrat Days. What’s ironic, Maxwell added, is that Trump has made clear since the election that his only interest is in the billionaires and millionaires like those who make up his cabinet. Maxwell said the best way for Democrats to improve their standing among rural and blue-collar voters, is to once again focus primarily on economic justice and freedom. But others continue to blame the social-issue divide, which may be harder to bridge. Several rural Democrats contended that their pastors were telling parishioners that they couldn’t be a Christian and a Democrat, because of the party’s permissive stance on abortion and gay rights. Trump had pledged during his campaign that he opposed abortion. Will state’s budget cuts sway rural voters? State Rep. Kip Kendrick, D-Columbia, warned that rural voters are likely to be among those hurt the most by the spending cuts likely to come from Washington and Jefferson City. Kendrick — originally from rural Monroe City, Mo. — pointed to the $500 million in cuts that legislators must make to the budget for the coming fiscal year. The lost income, he said, is largely due to several rounds of business tax cuts approved since 2011. Democrats pack a forum in Hannibal to discuss ways to woo rural voters. “It’s special interest-tax cut after special-interest tax cut,’’ Kendrick said in his speech. “These special interest tax cuts are making it all but impossible to fund our priorities’’ which he said should include public education, care for the poor, and repairs to the state’s roads and bridges. So far, he added, Republicans have targeted “seniors, people with disabilities and students’’ to bear the brunt of the spending cuts. As a result, Kendrick declared that Democrats must get their act together for 2018 — and do a better job of wooing voters. “Everything we believe in, is at stake,” he said. At Saturday's banquet, some farmers privately speculated that Democrats may once again attract rural voters if Trump's economic policies -- notably his call for a border wall with Mexico and an end to trade deals -- harm the agriculture community by driving down crop prices because of fewer foreign markets. New state Democratic Party Chairman Stephen Webber, a Columbia native who just left the Missouri House, said he has hope for a rural resurgence — noting that until 2010, there were still a sizable number of rural Democratic lawmakers. Webber has been traveling around rural Missouri as he hunts up potential supporters and candidates for 2018. And he agrees with an observation of Maxwell, who said in an interview after his speech that Democrats can best help their cause in rural Missouri by doing one thing: "Show up."